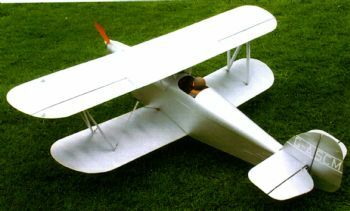 Classic 30's biplane for smaller four strokes, this is another unusual design. Well drafted with clear plans. The Parts Set includes all the parts required to start building straight away. Span: 58 inches for 70-90 four strokes.